Turin-based Italdesign teamed up with Nissan to produce this gorgeous version of the infamous all-wheel drive Japanese rocket which made its world debut at the recent 2018 Goodwood Festival of Speed to commemorate 50 years of the flagship salon (read about it here at TopGear). Now, the 720-hp GT-R50 prototype returns to Japan, on display for a limited time at Nissan Crossing in Tokyo’s Ginza district from Oct. 15 to Nov. 25 (10 a.m. – 8 p.m.). The futuristic GT-R is hard to miss finished in special Liquid Kinetic Gray with distinctive Energetic Sigma Gold accents. 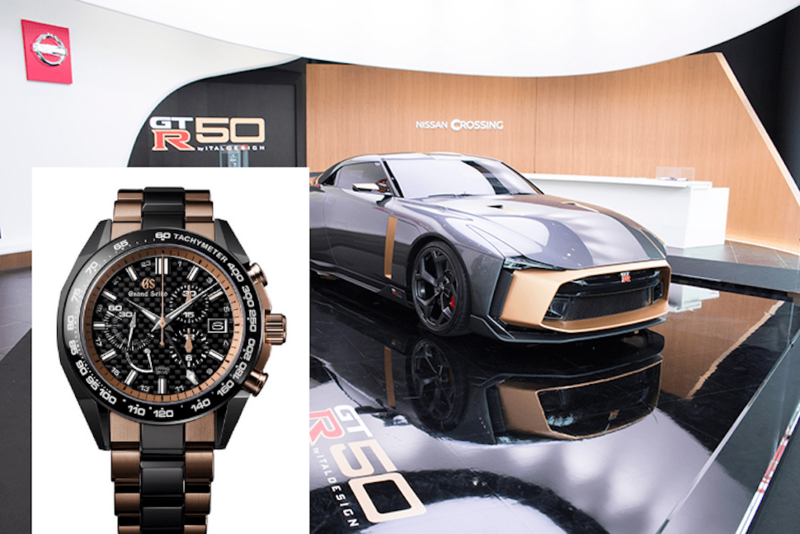 But alongside the 3.8-liter V6-powered supercar is Seiko’s special custom-made Grand Seiko Sports Collection Spring-Drive Chronograph GMT watch featuring the flagship Godzilla which goes on sale today. While we don’t have many details or pricing, the Seiko timepiece incorporates the GT-R50’s dual gold grey combo, sporting a large, elegant face with the chrono function typical of motor-inspired watches, letting you time races and events. Unfortunately, the chances of parking a GT-R50 prototype on your driveway are slim to none. But maybe a watch in the same vein may be a bit more realistic.